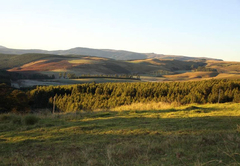 Beverley Country Cottages is a 3 star graded property offering Dargle accommodation for tourists and visitors of the Natal Midlands. 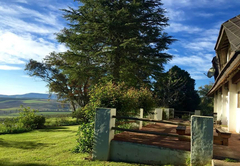 Beverley Country Cottages offers comfortable accommodation in a choice of a House, three cottages and two rooms in Dargle in the Natal Midlands. 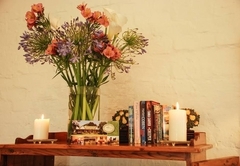 A national Lilizela Tourism Award for the best 3-star accommodation is an indication of the service excellence, attention to detail and country hospitality you can expect from the team at Beverley Country Cottages. Some units are self catering and others are bed only. 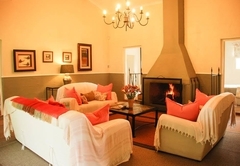 A large, cosy cottage with three en-suite bedrooms and a large lounge with fireplace. The kitchen is fully equipped for self catering. 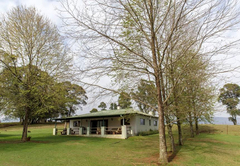 There is a large verandah furnished with comfy cane furniture and equipped with a gas braai. 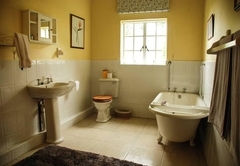 The house has been lovingly restored into a self catering cottage. 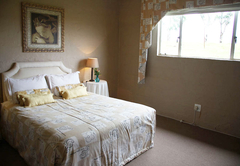 It is spacious and private with three en-suite bedrooms and a large verandah. 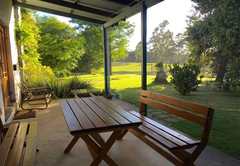 A delightful cottage with a magnificent view from the verandah. 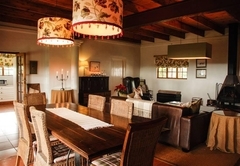 The cottage has a modern and comfortable interior with an open plan lounge, kitchen and dining area. 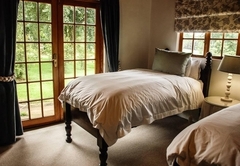 There are two en-suite bedrooms; one furnished with a Queen-size bed and the other with two extra length twin beds. 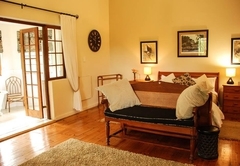 This lovely self contained cottage is perfect for a romantic getaway. 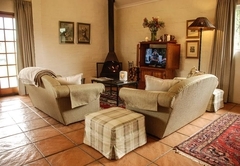 The open plan cottage has a cozy lounge with log fireplace, a kitchenette and double bed. 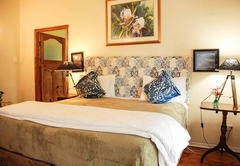 The large room boasts a sleigh bed, Oregon pine floors and a large bathroom with Victorian bath and a shower. Tea and coffee facilities are provided as is a small fridge. The room does not have self catering facilities. 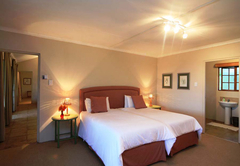 This comfortable room is furnished with twin beds and has a large en-suite bathroom. Tea and coffee facilities are provided as is a small fridge. The room does not have self catering facilities. 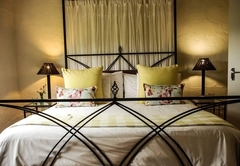 All accommodation is fitted with tea and coffee stations, fresh milk on arrival, flat screen TVs with DStv, fridges and freezers, electric blankets, chopped wood and complimentary Wi-Fi. 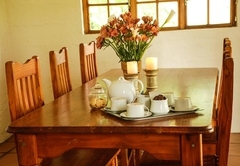 Breakfast and dinners are available on request and served in the comfort of the cottages. 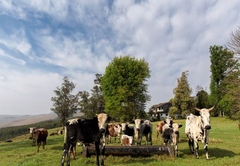 A tennis court, walking trails and bike rides keep the active occupied while Nguni cattle, noble horses, friendly pigs, dogs and fowls add to the ambience. 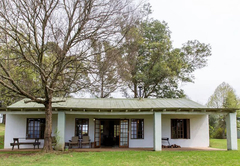 A cozy large cottage with three bedrooms, all en-suite, a comfortable central lounge with a large fireplace and a kitchen well equipped for self-catering. 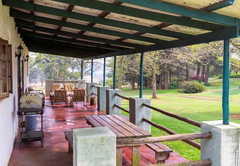 A large verandah with comfortable cane chairs and a gas braai is ideal for those relaxing days! 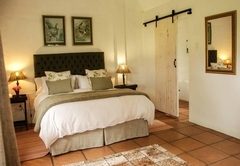 Once the owner's home, the Thatched has been lovingly renovated into a self- catering cottage. 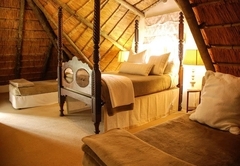 Being double story and with a high thatched roof, it is very spacious and private. 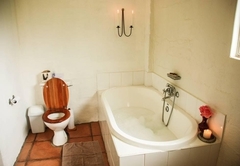 It has three bedrooms aIl en-suite and has a large verandah to relax on. This delightful cottage has a magnificent view from its verandah. 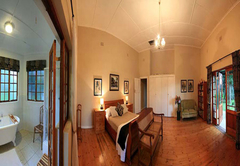 It has a wonderful comfortable, modern interior, with an open plan of a lounge, kitchen & dining area. 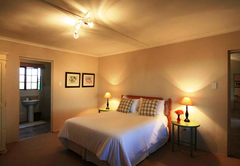 It has 2 bedrooms en-suite, one with a Queen bed and the other extra long twin beds. 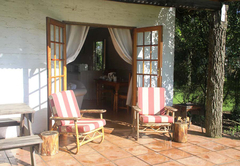 This delightful self contained cottage is perfect for those romantic getaways! 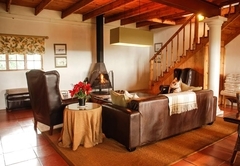 It has a cozy lounge, a log fireplace, kitchenette, and bedroom all open plan, so you can lie in bed and watch the fire! It has a shower and a bath. This is a large room, with a wooden sleigh bed, oregon floors and a large bathroom with a classic victorian bath and a shower. Tea & coffee facilities are in the room as well as a small fridge. There are no self catering facilities and no fireplace. 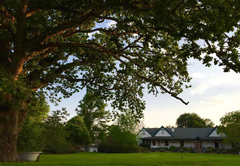 Response timeBeverley Country Cottages typically responds to requests in 5-10 minutes.